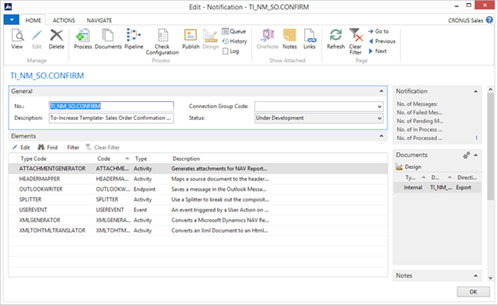 Earlier this year, we introduced the Document Management feature in To-Increase Business Integration Solutions for Microsoft Dynamics NAV 2013 R2. 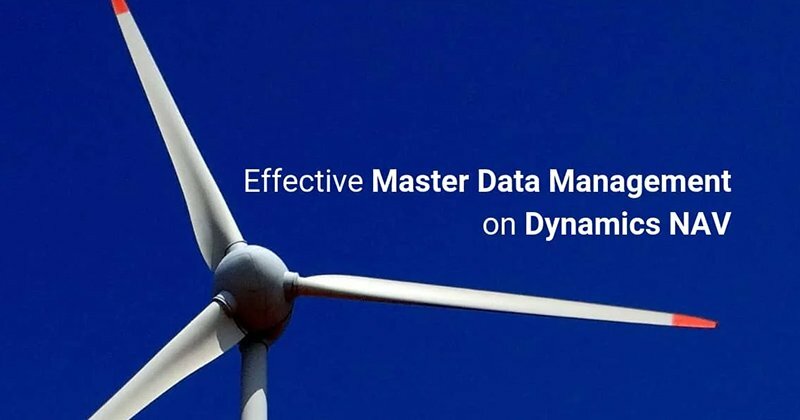 Document Management handles archiving of Microsoft Dynamics NAV documents such as orders, invoices, and statements. 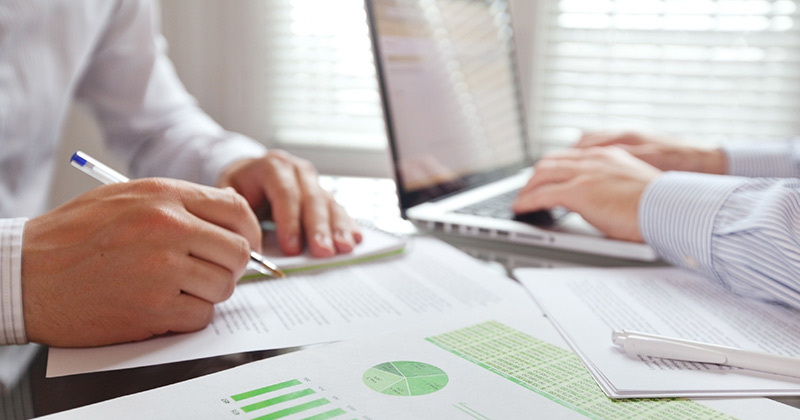 Today, we take a look at how Document Management works and how you can use it. 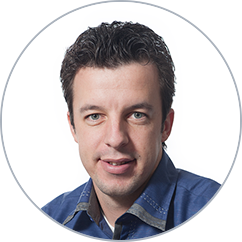 Document management can capture email attachments from customers or suppliers. 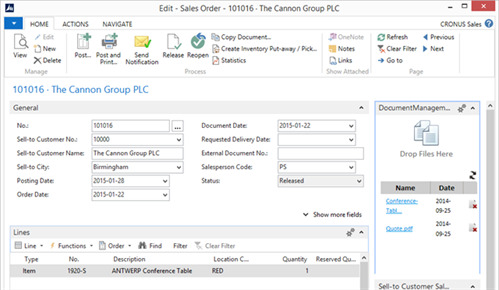 These key documents are stored in an electronic archive and linked automatically to the appropriate transactions in Microsoft Dynamics NAV. 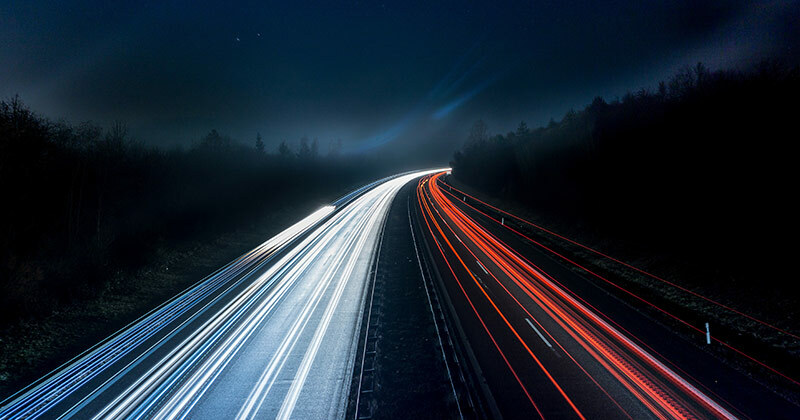 Access to archived files is faster and more versatile than if you were using paper files, so you save time and expense. Document Management is a part of Solution Center and does not require any special settings. 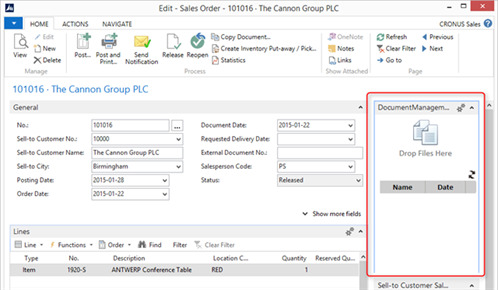 The steps for importing resources for the Control Add-in, adding a fact box to pages, and other actions are well detailed in the documentation available in the software release package. Provide the necessary setup details by selecting the storage type, file location, and other credentials. 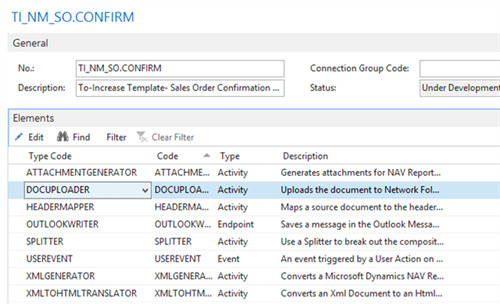 You can add a Document Management fact box to virtually any page with just few lines of code. The instructions for this are in the documentation available with the solutions. 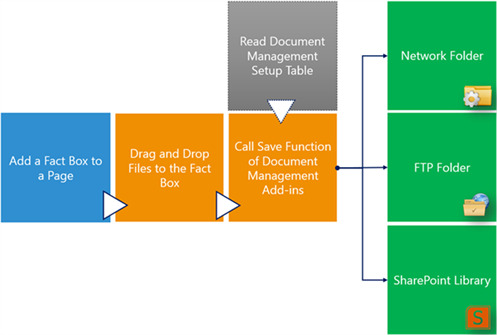 Open the page for which you have added the Document Management fact box. 3. Drag a file from, for example, your local system and drop it at the location where it says Drop Files Here. 4. You will see that a hyperlink is created for the file. In case you are not able to see the hyperlink, click on the refresh icon and it should be visible. 5. The file is now linked to the record and also archived in the location specified in the Document Management setup page. NOTE: You can delete the file from the Fact Box area by clicking the delete button against the file name. To understand how to create notifications, please refer to the documentation available in the software release package or posts about this topic at http://navbis.wordpress.com/. (We may publish some of these blog posts here as well.) 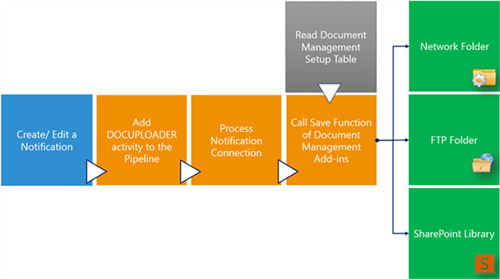 Below, you find the steps to take to make the Document Management feature work with notifications. From the software package, import a sample notification template which also uses attachments, for example, the order confirmation notification called Notification-TI_NM_SO.CONFIRM.zip. 3. 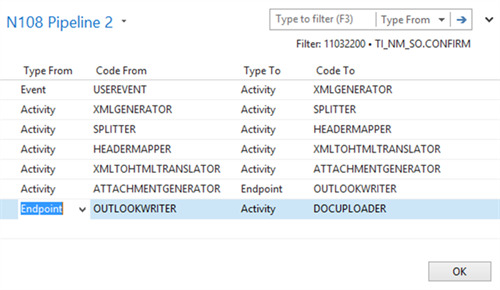 Select the DOCUPLOADER activity in the element list. This has no special settings. So just click on Edit once and close it. 4. In the pipeline, specify the DOCUPLOADER activity at the end of the pipeline. 5. 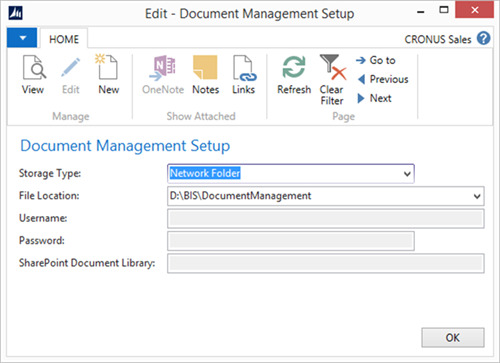 When you process the notification for a record, the attachment is linked to the record and also archived in the location specified in the Document Management setup page. Thanks for following along! I hope you find this information useful! With any feedback or questions, please contact To-Increase.